"GPs, medical professionals and others working in drug treatment programmes will be required from this month to ask addicts whether, in the past four weeks, they have been involved in shoplifting, selling drugs, vehicle crime, theft or burglary, fraud, forgery or violence". The report was in response to an initiative from the National Treatment Agency about changes they have made to monitoring forms for treatment providers. "Crime - Some people commit crimes to help fund their drug use, which can lead to prison, taking them away from their children, partner, family and friends. And society as a whole has to pay for it too. Research shows that treatment can help people avoid committing crime to fund their drug habit, and help them lead a more positive lifestyle. The TOP (Treatment Outcomes Profile) provides a measure of this but doesn’t expect you to reveal details of specific crimes." Is it fair to ask patients about their level of offending when the Government does not count the numbers who offend because of its having made drugs illegal in the first place? What Government has done is effectively to pass the buck. The onus is now on 'treatment' to reduce the offending that is caused by the drugs' illegality in the first place. GPs have not been asked to find out whether the patients they are treating for tobacco addiction are offending less when they use patches. This is because the price of tobacco is low enough for a daily habit not to result in offending (and that's because it's legal). What is going on here is perverse. The Government gets the Home Office to oversee the process of getting heroin and crack users offending (it now 'identifies' problem heroin and crack users through their offending) and then asks the Department of Health to reduce offending through 'treatment'. This is not about treatment. It's about reducing the collateral damage created by prohibition. It is singularly unjust to demand that GPs and patients account for the efficacy of their intervention, whilst the Government/Home Office is not held to account for its policy. 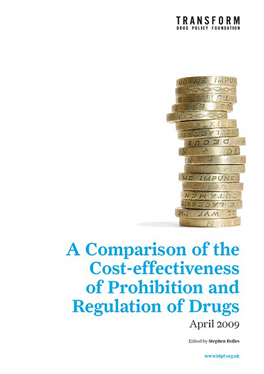 NB There has been no official scrutiny of the efficacy of prohibition enforcement spending despite the fact that the crime costs arising from prohibition, according to the Home Office's own research, amount to over over £16 billion a year. This figure compares to less than a £1 billion a year spent on treatment. Outcome monitoring fine, but let's apply some outcome monitoring to the the policy drug prohibition and its very expensive enforcement. Transform has been calling for an audit of prohibition since 2002 and was instrumental in getting the Lib Dems to adopt the call as party policy. 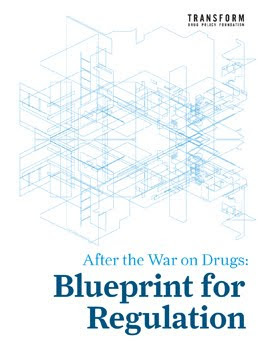 Such an audit would provide a wealth of evidence to enable policy makers and civil society to assess the efficacy of existing prohibitionist drug policy. It is likely that it would expose and contribute to the demise of what is demonstrably a failed and counterproductive policy approach - probably the reason no one in Government seems interested in pursuing it.